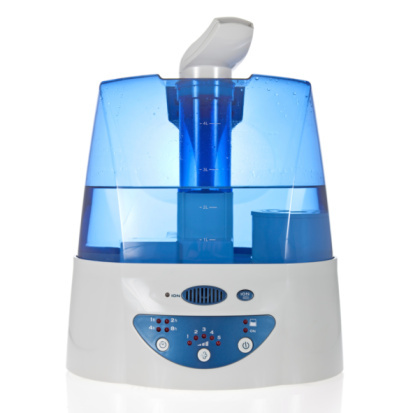 How can using a humidifier affect your health ? A humidifier works by adding moisture to the air, especially in cold weather when the air indoors tends to be dry. One of the benefits of having a humidifier is that when used properly they can lessen the risk of colds and flu germs. This is due to the fact that viruses tend to spread more easily in air that is dry, which is more common in cold weather. The proper room humidity level is between 30 and 50 percent. This is important because too much humidity can cause respiratory problems, mold and mildew to grow, and allow the growth of dust mites. There are risks of using a humidifier if not used properly. Burns can occur if a person comes in contact with the steam. If the water tank isn’t cleaned properly, bacteria can grow and spread throughout the home. Speak to your doctor about using a humidifier in your home. You can also schedule an appointment with a doctor at Flushing Hospital Medical Center by calling 718-670-5486 if you would like to discuss ways to keep healthy during the winter months. This entry was posted in Health, Home Remedy and tagged Flushing Hospital Medical Center, humidifier by Andrew Rubin. Bookmark the permalink.